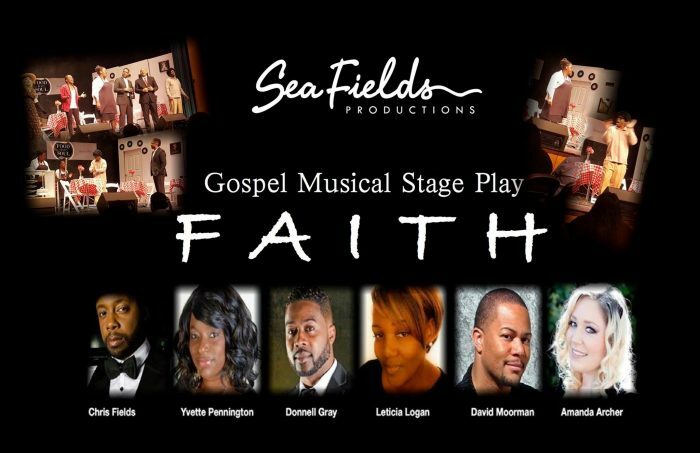 Sea Fields Productions Presents a gospel musical stage play “Faith” LIVE at the San Leandro Performing Arts Center. Only Two show performances, Early Bird 2:30pm and Late Show 7:00pm. In these hectic days, sometimes you need a hand-clapping, soul-stirring gospel musical to help get you through. Sometimes you need Faith, a stage play from the mind. Loaded with feel-good musical numbers and an inspirational message, this show is about having faith, no matter what, that God will help you along the way. See this spiritually uplifting production at San Leandro Performing Arts Center. $10 early pre-sale tickets. Will increase to $20 for tickets and $25 at the door.